Chair There are 5 products. 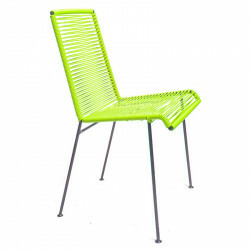 Arround your dining room, on the balcony, the terrace or the garden, the Mazunte is adapted to all the environment. 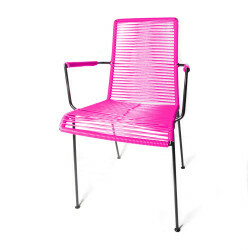 Outdoor and resistant, you can have a design and vintage chair all around the house ! Associated with the Merida table, you will have the perfect combination for your dinners. The Mazunte armrest with braided give you a real feeling of protection. 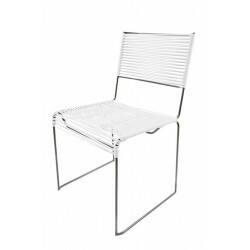 braided sides create a welcoming and reassuring envelope.The armrests ideally positioned and angled allow you to be perfectly maintained. An ideal position for relaxing read, drink coffee or enjoy a good meal. 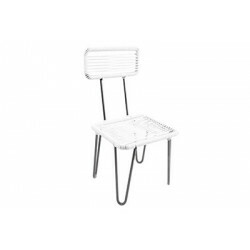 The Multi chair, square-shaped and simple is a useful furniture in your house. The comfort procured by the braiding will let you enjoy all your dinners. Around a Merida table, your Multi chairs will find their place easily. A chair specially designed for children. Designed for use with the Scole desk. Its comfort will permit your kids to work, to draw, and to have fun in the best conditions !